We heard parts of Oklahoma had the rains this year. A quick call to the DNR confirmed the rainfall rumor and the possibility of a triple hatch! That was the good news. The bad news is that the bird numbers were down so far, it will take several years to get back to the "normal" years of the past. It mattered not to this bird hunted. After Nebraska, to Oklahoma we went. Cooper WMA is where we started. 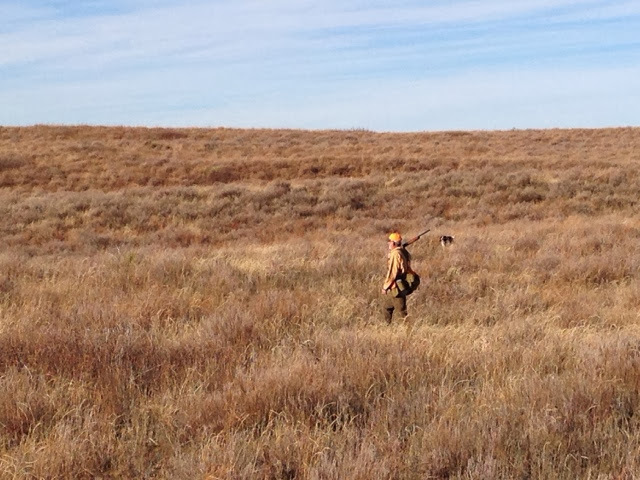 Thousands of acres managed for quail with feed, cover and water, it is a habitat paradise for the bobwhite. Unfortunately, the weather turned warn on us. 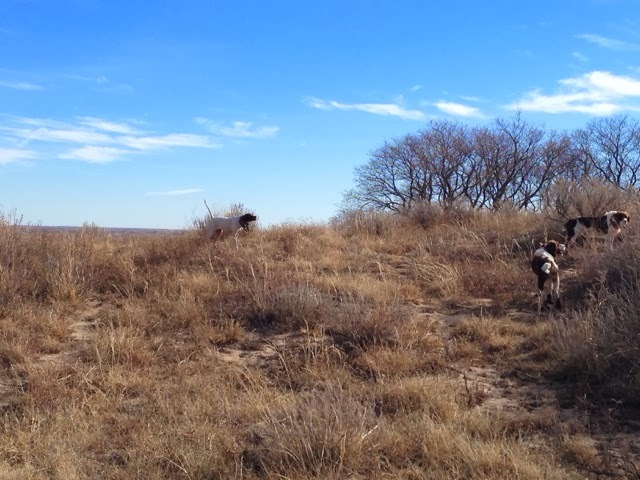 We did find one covey in the morning.....in the safety zone...rats! Then we found 5 singles scattered out throughout the day, throughout the WMA. Go figure why they weren't in coveys. Got me. 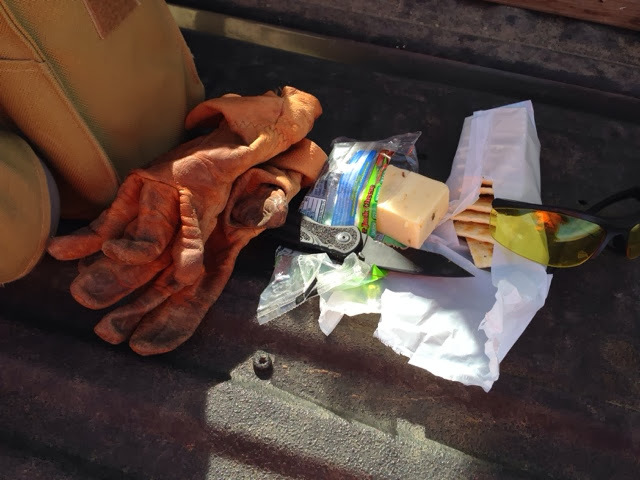 Lunch on the tailgate was sumptuous, nutritious(? ), and cheap. The perfect birdhunter's lunch.